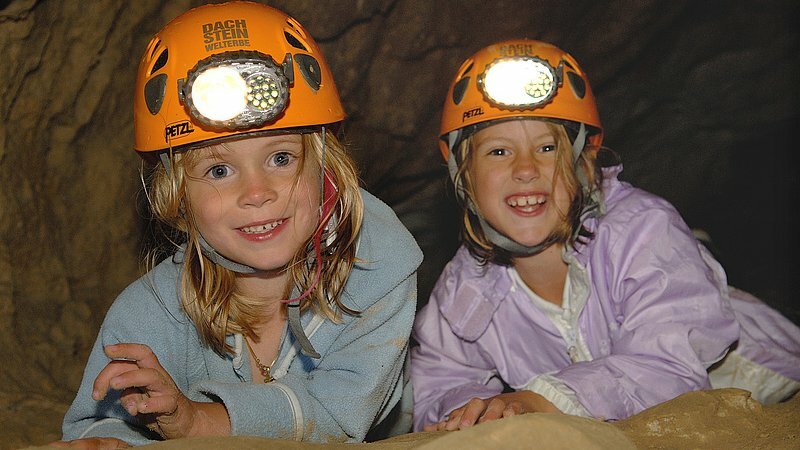 Guided tours daily from 11th May to 3rd November 2019. First tour at 8:40 hrs.! © Dachstein &amp; Eishöhlen GesmbH &amp; CoKG. 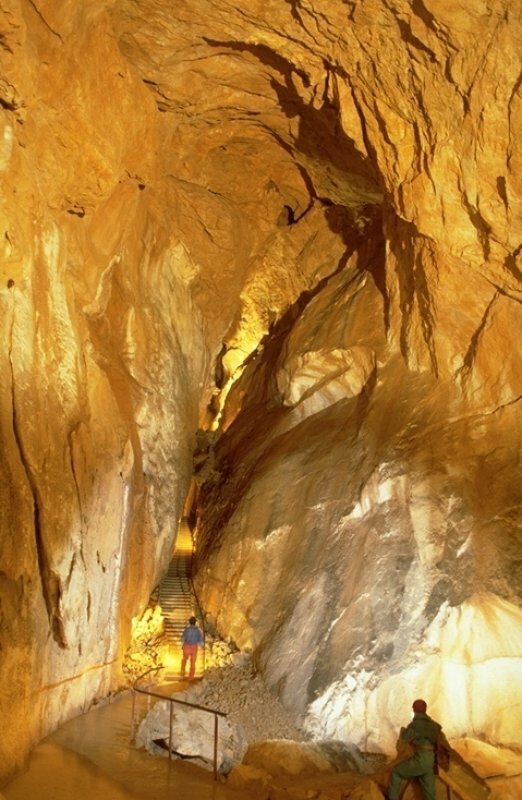 The endless expanse of the Dachstein massif from inside – the giant Mammut Cave is sure to impress with its vast size and interplay of colours – something you would never expect to see beneath the ground in of the UNESCO World Heritage region of Hallstatt Dachstein Salzkammergut in Austria! 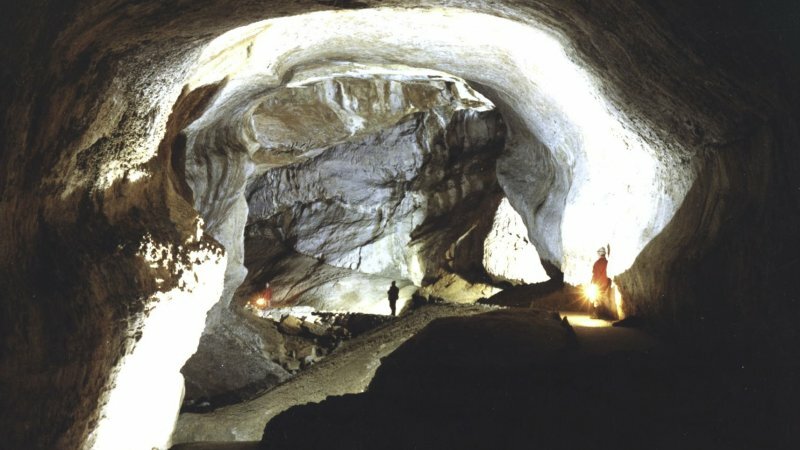 The name ‘Mammut Cave’ (Mammoth cave) was chosen by explorers due to the astonishing dimensions of the underground spaces and passageways contained within this cave system. 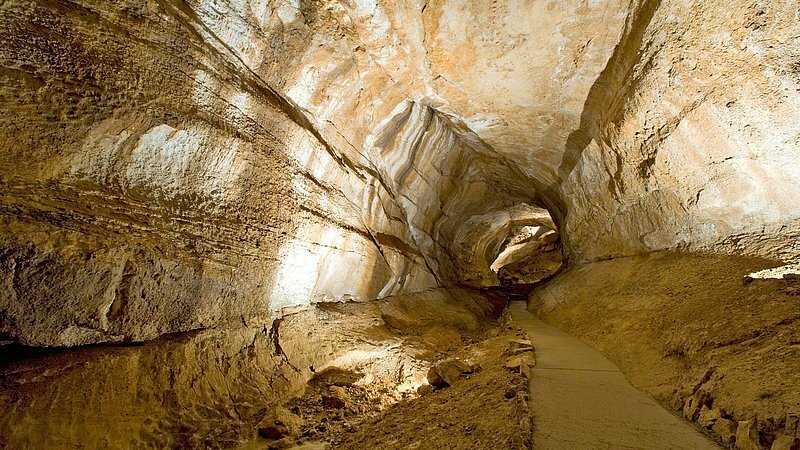 At present, more than 70 km of these passageways have been explored – around 1 km of them can be viewed during the guided tours. 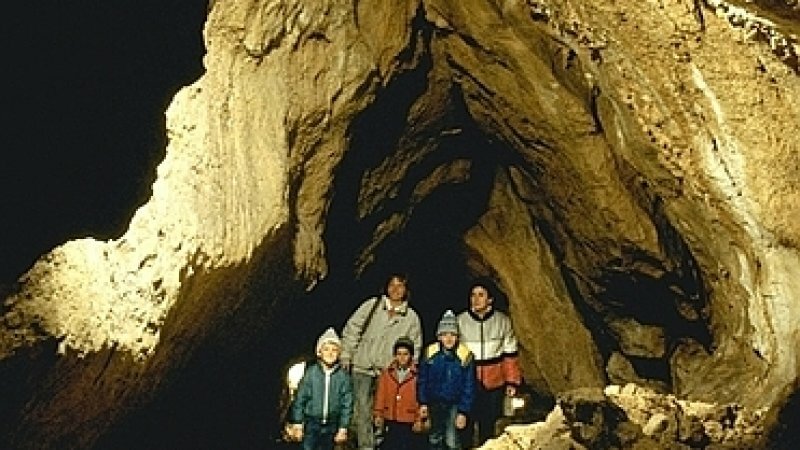 During 1 hour tours of the Mammut Caves, visitors gain insight into how the caves developed and the work of the cave researchers. 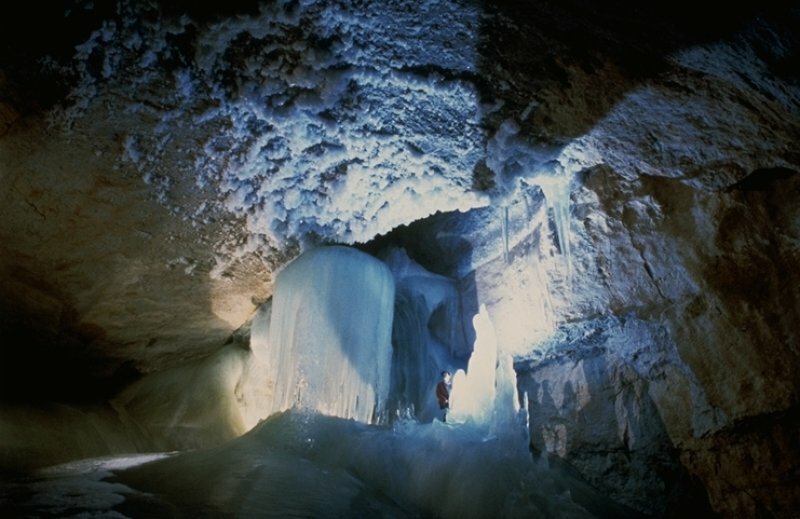 They learn how powerful volumes of water once gushed through the mountain as well as the problems which confronted cave researchers in the ‘Midnight Dome’ during their multi-day expeditions of the inside of the mountain. In this ‘Kingdom of shadows’, there are no boundaries to the imagination. 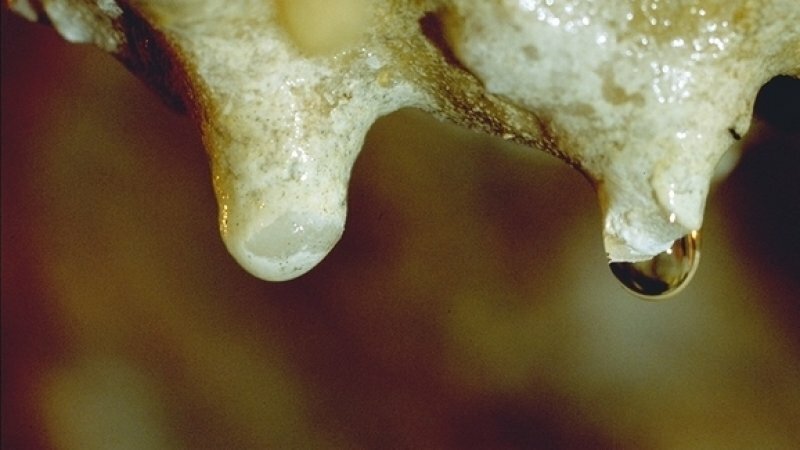 Here, nature has created its own images from the white mountain milk and brown iron oxide, generating names such as ‘Cave Venus’ and ‘Woman with Hooped Skirt’. 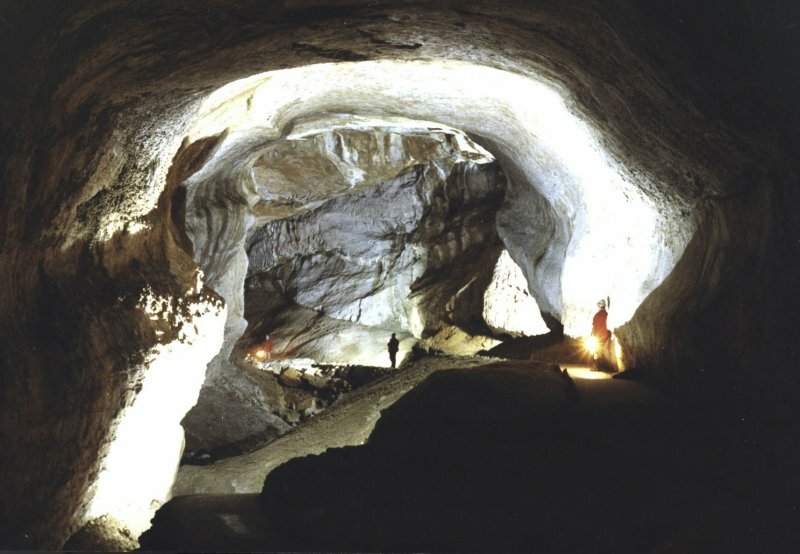 And finally, installations from the Linz University of Art (such as the incidence of light and cave scan projects) never fail to impress. 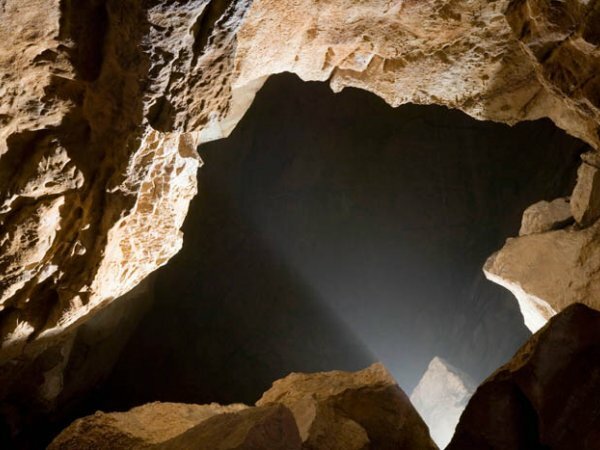 Light and shade in the Mammut cave – the ‘Laser scan’ and ‘Incidences of light’ installations captivate in the endless gloom of one of Europe’s largest caves. 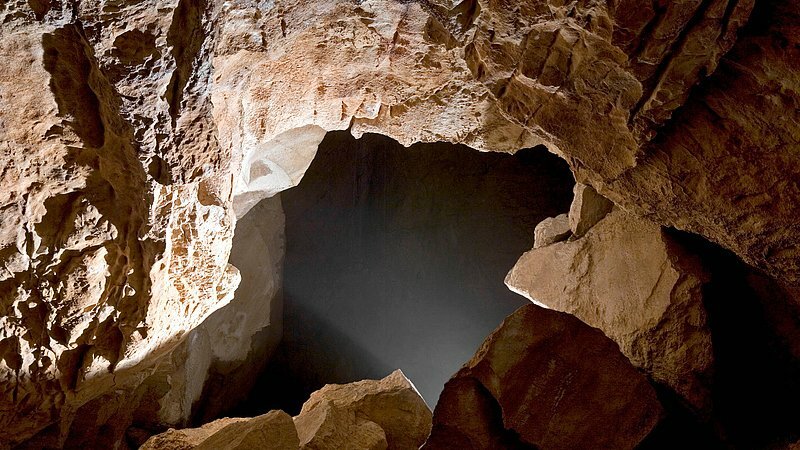 A swivelling laser beam highlights the surfaces of the cave and brings to life bizarre aluminium objects through the interplay of light and shade. Particularly impressive is the projection of a mediaeval church window which emerges from the cliff as if from nowhere. Plenty of surprises guaranteed! 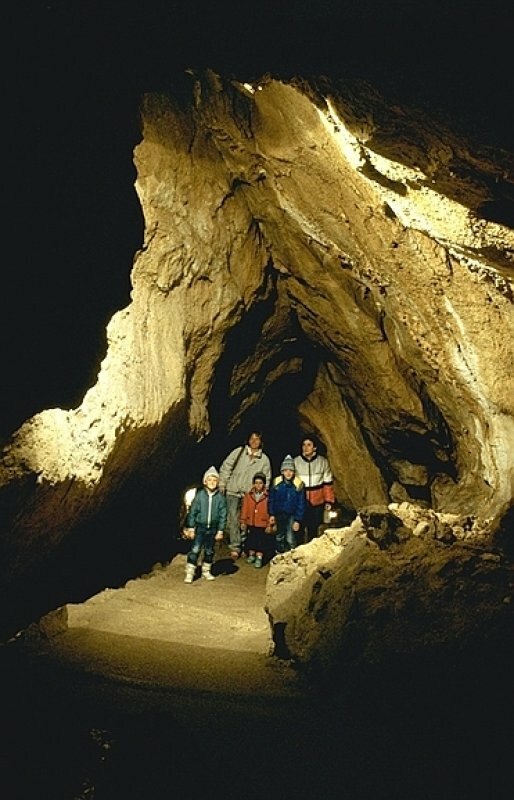 The West entrance to the Mammut Cave was used as a cellar for many centuries. 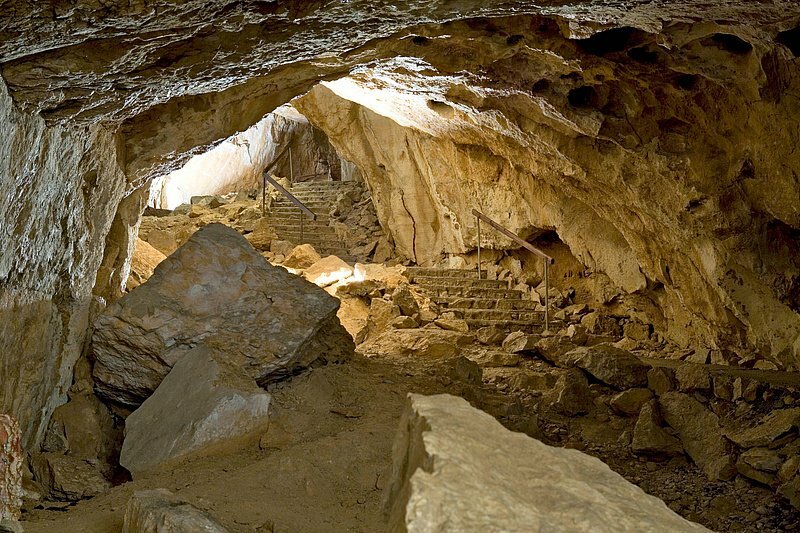 Poachers, once numerous in the Inner Salzkammergut area, also used the area to store any game they caught. 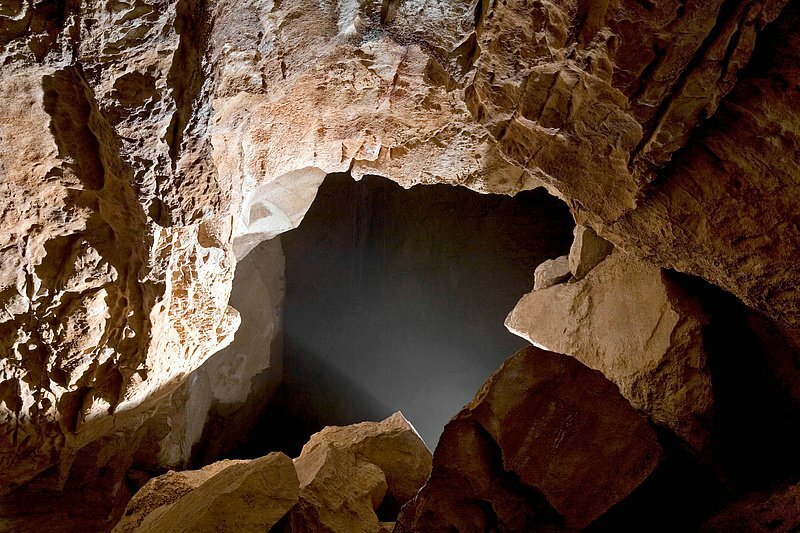 In 1910, exploration began of the seemingly endless corridors of the Mammuth Cave from the western side. 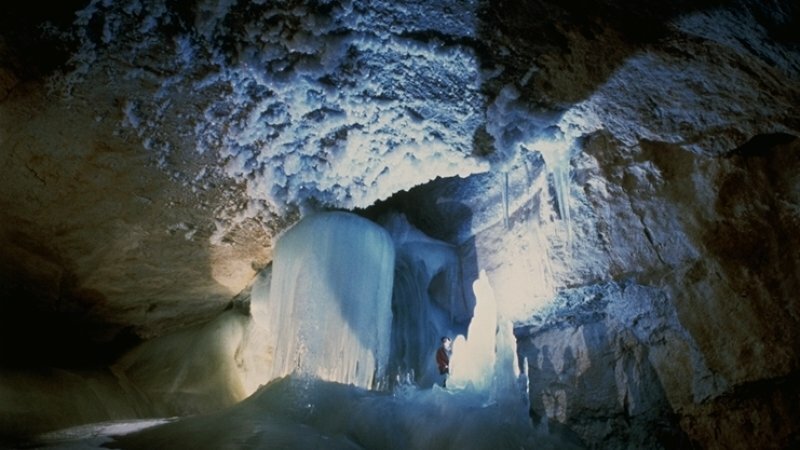 On the East side, facing the ice cave, several ice entrances were identified which were finally linked with the western section in 1914. The First World War brought a halt to the research activities. 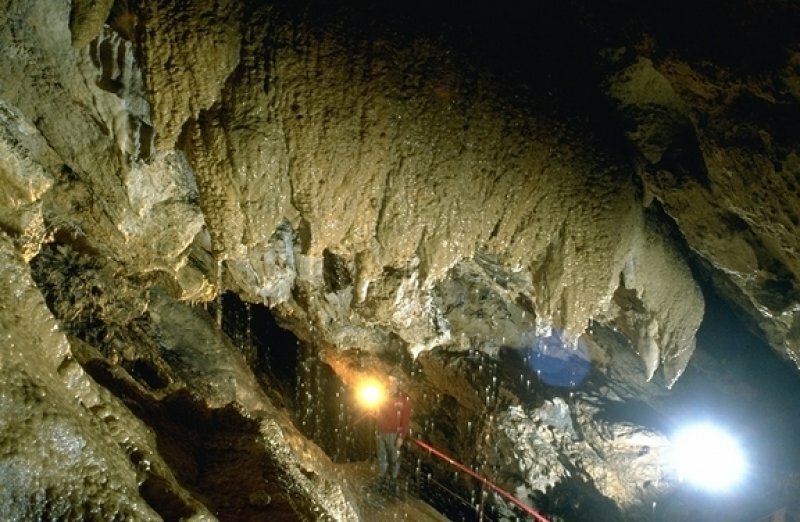 After the end of the war, the military built a route through the Mammut Cave which was then improved over the decades which followed. 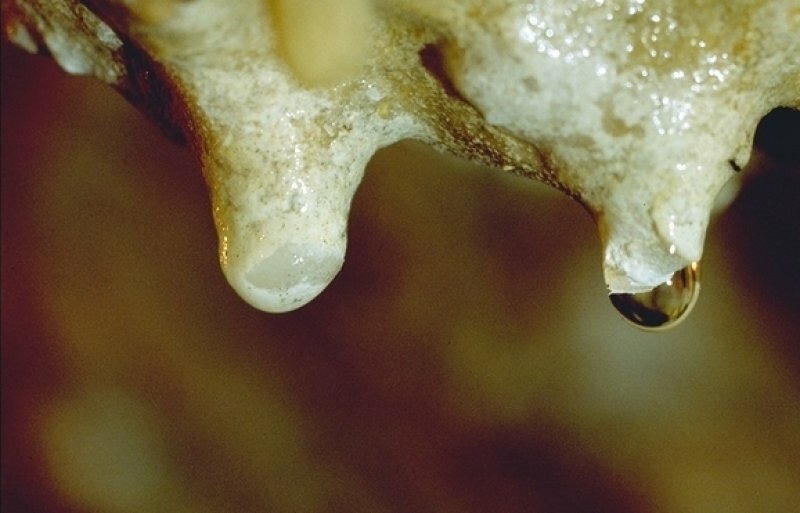 Today, over 60 km of the Mammuth Cave have been researched. 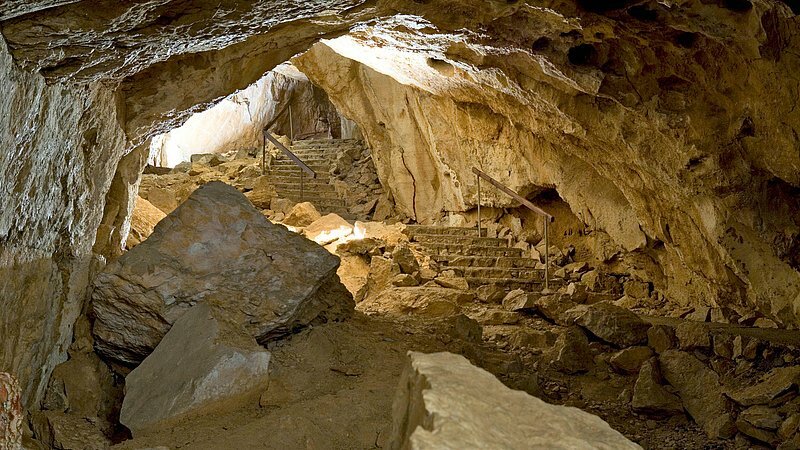 The impressive size of the passageways and the hope of finding one of the longest caves in Europe prompted researchers to choose this name (transl. 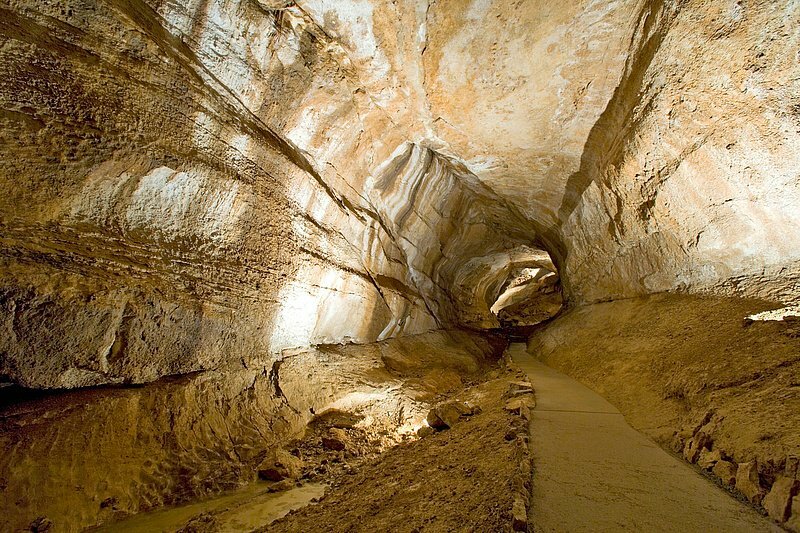 Mammoth Cave). 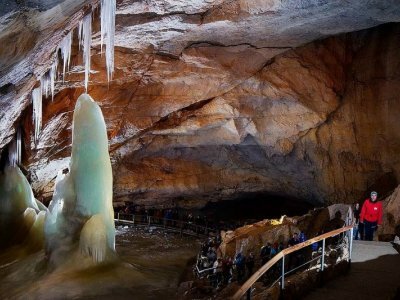 Over the last few years, artistic installations have made the Mammut Cave even more attractive and the Dachstein caves are now impressing visitors with their new look. Dear "cave explorers", in "Information at a Glance" below we have listed the current running times of the Dachstein Krippenstein cable car. 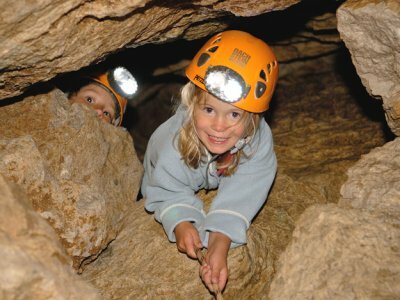 In addition to the general operating times, you will also find the "first ride" up to the Schönbergalm to the cave worlds and the "last descent". 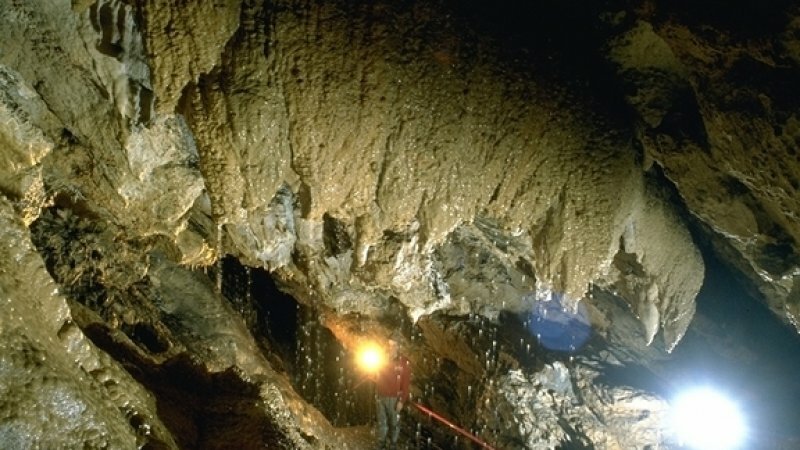 So now it is even easier and more convenient to plan your trip to the Mammoth Cave. 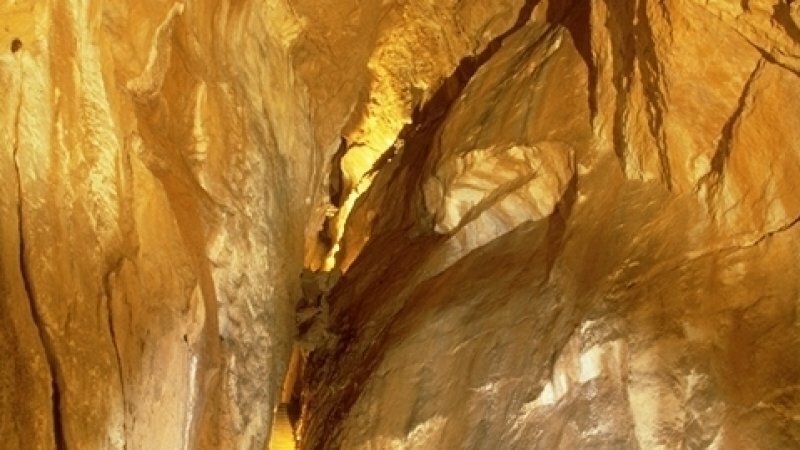 Guided tours: 08:40 - 15:00 hrs. 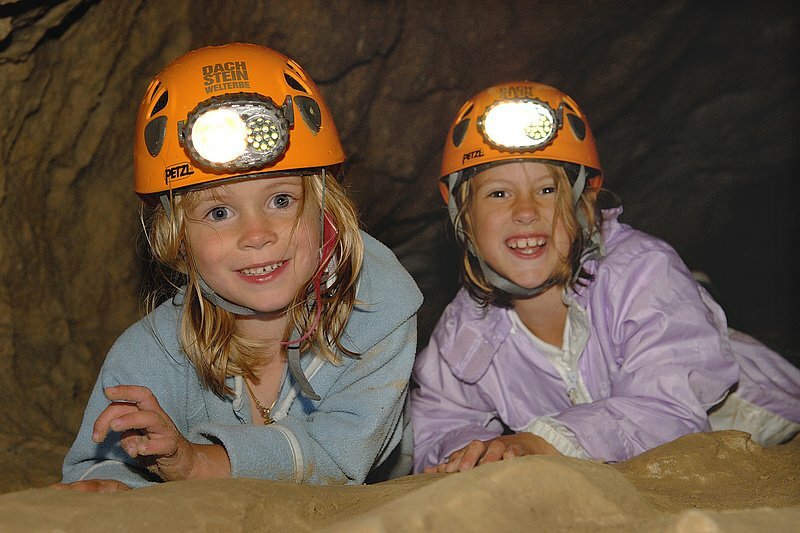 Guided tours: 08:40 - 14:00 hrs.